1. Describe in your own words the parents' dilemma of today and contrast with the cultural dilemmas. 2. Reflect on the study material and share your thoughts and feelings concerning the observation that "children are not tiny adults!" 3. Comment on what is meant with "the child's changing consciousness" and how this influences the learning abilities and structure of learning during the first seven years. 4. Give examples and comment on the idea of "trusting ourselves" as educators and as parents. Children Are Not Tiny Adults! The years between birth and age six are a time of growth and learning that is unparalleled in later life. 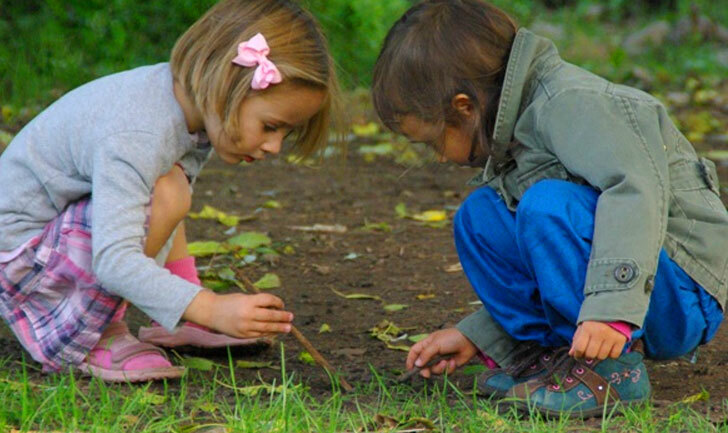 The formative power of children's experiences during these years has been recognized by thinkers and educators throughout history and may seem obvious today. It certainly is to marketers, who deluge parents with ways to make their child smarter and more mature faster. Of course, all parents want what is best for their child, but how can they sort through all the theories and products on the market and make their own best decisions? 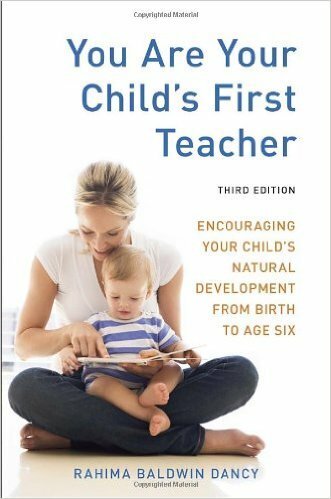 Throughout this book we will consider two elements that are vital to this process: understanding child development and creating a home life that provides what your child needs while still being sustainable for you as the mother or father. In the Brookline Early Education Project, White continued his studies by focusing on the question of what helps children develop into "wonderful" people. First he found "great" six-year-olds—children who were not only intelligent and well developed but also well balanced and a pleasure to be with. To try to determine what parental factors and experiences in the early years had helped make them that way, he involved their families in the study when a new baby was expected so he could observe the ways these parents interacted with their children from birth to three. White's work is especially interesting because he truly observed and learned from mothers and babies in their own homes, and he was concerned with the children's overall balance, not just their intellectual development. All parents want to do what is best for their children, to give them the best possible start in life. But what is best? Many parents feel that they ought to be doing more with their eight-month-old. But what? Or parents want to spend "quality time" with their child but find it boring to sit and do puzzles together. That we are plagued with so many questions, doubts, and guilt about how to raise our children is the result of living in a time of tremendous changes. Our culture no longer provides a strong and unified message about how children should be raised. In addition, most of us live far away from our own parents or extended family, the people who traditionally provided wisdom, help, and continuity in rearing children. The art of mothering has been replaced by the science of parenting, yet many parents have come to question the values their own parents embraced in such practices as bottle-feeding every four hours and letting the child "cry it out." And many parents today want to stay home longer with their children, reacting against their own experience of having been in child care from an early age, but they are at a loss as to what to do or wonder why being home with a young child can be so difficult. It is appropriate that we question everything, that we bring issues to our consciousness so that we can go on to create something whole and nourishing. For example, by questioning modern practices of technological intervention in birth, we discovered that there is no such thing as "natural childbirth." All childbirth is influenced by the culture in which it takes place. It is not possible to simply do it "naturally/ rather, we have to reeducate ourselves and try to bring our minds, bodies, and feelings into a new harmony, a new integration that will allow us to birth as complete human beings, with body, mind, and emotions working together. The same is true of parenting. It is appropriate that we question what we are doing and that we discuss our attitudes and intentions with one another—but not in front of the children! It is beneficial for children to think we know what we are doing, even if we aren't so sure ourselves. They don't need to be involved in the intricacies of adult considerations and thought processes. Rather, they need to feel that mother and father are united in what they are doing. Being in a state of questioning or not knowing can be very beneficial, but it can also be frustrating because children don't wait until we have it all figured outl They demand constant interaction and require that we make decisions that will influence them in both the present and the future. Just as babies don't wait until the world and our lives are in perfect order before they are born, children don't wait until we are perfect parents. Indeed, we will be better off if we can give up the idea of perfection in parenting. Parenting is a process of mutual growth, during which parents and children grow on different levels through their interactions and through the elements they bring into one another's lives. As new parents, many of us find ourselves in a real quandary about what to do in various situations. And we often find we have no way of foreseeing the effects of our actions on our children—especially the first child! Should we encourage our child to express all of his emotions and perhaps end up as a little tyrant, or yell at him and risk producing a repressed and resentful adult? Neither alternative is very inviting. Should we start teaching our nine-month-old to read or swim? If our two-year-old loves smartphone apps, does that mean they're good for her? Does our three-year-old need to be computer literate in order to get ahead in today's world? We don't seem to have any way of judging and therefore find ourselves at the mercy of whatever notion comes along. We need to listen to our own inner knowing. And we need to acquire knowledge about how the young child develops so we can make informed choices with confidence and receptivity. Most new parents have no knowledge of child development, and we haven't even been around children since we grew up. Many of us have forgotten what children are like and find ourselves on the path of parenting without any knowledge of the landscape. We need to begin to see the child in a new way, one that takes into account physical, emotional, and mental development, as well as the less tangible spiritual dimensions of the human being. Once we begin to perceive the whole child and how he or she unfolds, then our choices will begin to have coherence. 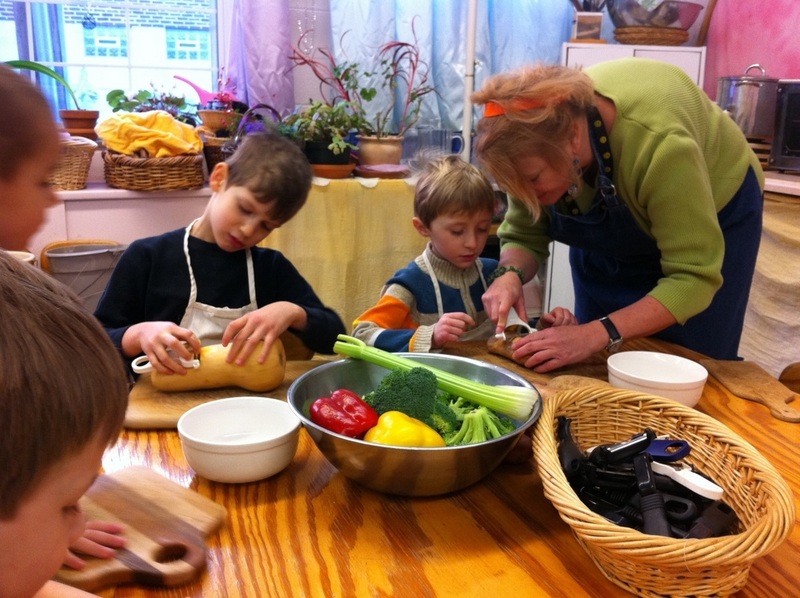 No longer wanting a cookbook of "how to's," we will trust our own decisions, based on our understanding of the developing child and our observation of the resultant flowering of our own children. But we need to realize that there are many cultural forces working against seeing the child in such a way and responding with what really supports our children's development. First of all, we need to recognize that childhood is being squeezed out as a valuable phase in itself as legislators, academicians, and marketers bring academics and clothing styles to ever-younger recipients. Our society tends to regard children as little adults, so we are encouraged to reason with them as if they were grownups and to teach them with techniques appropriate for much older children. Despite years of studies by Piaget and neurophysiologists, educational politicians determine curricula and textbooks seemingly without any regard to the way children actually think and learn, pushing curricula earlier and earlier and teaching to the test. Our culture also regards children—and human beings in general—as machines. People liken the human brain to a computer instead of reinforcing that the power of computers—to process data, not to think—is a product of the human brain and involves a very simple "on-off" process occurring at remarkably high speeds. The computer culture so permeates our values that popular articles on brain research refer, time and time again, to children being "hard-wired from birth" for certain capacities or tendencies. (6) We also see the mechanized model in the sphere of medicine, in which worn-out parts are replaced as they would be at the auto repair shop. And it permeates the materialistic psychology of behaviorism, in which the individuality of a person's soul and destiny are reduced to a complex series of conditioned responses. We also need to recognize that our society values intellectual development above all else and tends to ignore other aspects of development, both for their own value and for the impact they have on learning. The No Child Left Behind act has reinforced the impetus to introduce elementary-school curriculum earlier and earlier, so that kindergartners are now doing what used to be taught in first grade. The fact that many children are now failing kindergarten while functional illiteracy continues to rise in this country has only led to starting "reading readiness" with four-year-olds in an increasing number of school systems. The fact that there is a difference between kindergartners and first graders— that is, that there is a major developmental change that goes on around age six or seven—is being ignored as parents and educators continue to "hot house" preschoolers into academic channels. This disregard for the natural development of children has resulted in what David Elkind calls "miseducation," or practices that put preschoolers at risk and have no real benefit. His newest book, The Power of Play, complements his earlier titles (The Hurried Child and Miseducation: Preschoolers at Risk) in detailing the forces in our culture that are jeopardizing the healthy development of our children. We have lost touch with natural processes in child development, convinced that we have to "do something" rather than allowing the child's own inner processes to unfold. Pediatricians try to reassure parents that each child has his own timetable for achieving milestones such as walking, but educators do not reassure parents or try to maintain the self-esteem of a child who does not learn to read until age seven or eight. Rather, he is labeled "learning disabled" in kindergarten and put into remedial classes, in which the basics are drilled to the point where he loses out on the richness and excitement of learning. Rudolf Steiner had tremendous confidence in the natural processes of development and reminded us that "That which is asleep will awaken." (7) That doesn't mean we do nothing; rather, it means that the things we do need to be consonant with the child's own developmental stages as they unfold. It is unhealthy to skip stages or to rush the child through various phases. Although it is sometimes possible to do so, just because something can be done doesn't mean that it should be done! Again, we need an understanding of the development of the human being to be able to judge what is in harmony with a child's development and what violates it. One of the best discussions of how children develop and ways to respond by creating a sustainable home life is Simplicity Parenting by Kim John Payne. Payne delivers on the promise of the subtitle ("Using the Extraordinary Power of Less to Raise Calmer, Happier, and More Secure Kids") by developing the case for simplifying children's—and one's own— life on four all-encompassing levels: environment, rhythm, schedules, and filtering out the adult world. If you don't read any other book, this is the one that will take you from early childhood through adolescence. Compounding the dilemmas faced by parents today is the changing nature of family life. An increasing number of women find themselves single mothers, forced to juggle one or more jobs in order to make ends meet. Many other women today enter marriage and motherhood later in life, having already completed undergraduate or graduate degrees or after having had careers for several years. Today's economic situation often requires incomes from both parents to pay high mortgages and maintain the lifestyles to which people have become accustomed—and not many people want to sacrifice financial comfort for their children. But even without economic necessity, some women prefer to work for relatively low wages and pay for child care rather than be home day after day with their child or children. Why has it become so difficult for many women to be with children? The answer lies partly in the changing nature of our society. In rural yesteryear, life for women centered around survival tasks that took most of the day—gardening and canning, washing and ironing, baking and cooking, sewing, chopping wood, or other farm chores. The children tagged along, helping their parents as soon as they were able, but life never centered around them. To expect a thirty-seven-year-old PhD candidate or a woman who has had an exciting career to be fulfilled spending her days in an apartment with a two-year-old is unrealistic. In the nuclear or subnuclear family, far too much energy gets focused on the child because he or she is the most interesting subject around (try getting excited about waxing the kitchen floor)), but after a time many mothers find themselves getting cabin fever. It becomes increasingly difficult, both emotionally and intellectually, to be home day after day with this child. This is due, in part, to a lack of the perceived value of mothering, but also because children's demand for attention expands to use up whatever might be available. The wide variations in modern daily life were emphasized when I was a midwife offering home birth and delivery at an urban birth center in Dearborn, Michigan. I got to know families from all walks of life. Some were recent immigrants who were still trapped in "biology as destiny"; although these women were exhausted by having babies every year, their husbands wouldn't let them use birth control. But there were also American women who were having their sixth or seventh babies, or more. They felt that children were the jewels in their crown; not only were they having a lot of them, but they were often homeschooling them as well. They didn't feel as if they were sacrificing themselves but seemed genuinely fulfilled in their roles as wives and mothers. For the most part, these women seemed to have a strong religious faith that infused all areas of their lives. Most were Mormons, practicing Catholics, or fundamentalist Christians who were supported by a worldview that still valued these roles and activities. Although it is my own conviction that support for mothering is a feminist issue, neither present society nor the feminist movement supports stay-at-home mothers. Mothering, like so much of "women's work," is both invisible and undervalued by our culture. Strong economic forces are still working against mothering, just as they did during World War Il. At that time society needed women to enter the workforce in droves. This goal was supported by the medical community's dictum that breastfeeding should be replaced with the modern, scientific practice of formula feeding. When women were not as bonded to their babies and not tied to feeding them, they were more willing to enter the factories. Similarly today, bottle-feeding, widespread use of epidural anesthesia, and other routine obstetrical practices work against maternal-infant attachment, enabling many women to blithely plan during pregnancy to return to work at six weeks postpartum (although some are shocked by the unanticipated strength of their feelings when it comes time to put their infants in full-time child care). Fortunately, our society is finally considering how it can support families by promoting quality child care and by exploring measures such as flextime and on-site child care. There aren't enough good solutions yet, but at least the questions are being asked. At the grassroots level, the rise of the Internet has resulted in a number of support groups for stay-at-home mothers (and dads). Whether a mother finds it the most wonderful thing in the world to stay home with the children, whether she is struggling to make a go of it, or whether she is trying to juggle a work schedule with a child's needs when he is sick, she needs to get more support for her mothering. One key to avoiding many problems that accompany parenting today is to have an understanding of children's development. If we can understand the nature of the young child as it unfolds, we will be able to meet the child's real needs for balanced development of mind, body, and emotions. Although children are obviously very different from grown-ups, our culture tends to treat them as privileged but miniature adults and to rush them through childhood. Many problems arise when we fail to realize how different a three-year-old is from a nine-year-old, a teenager, or an adult. That sounds obvious, but many parents take all their children to the same movie in an effort to be fair, or they reason with their five-year-old as if his ease with words ought to translate into control of his actions in the future. The hurried-child syndrome is apparent in all spheres of activity today. It is obvious that children's bodies are not yet physically mature, yet we try to speed up babies' development with walkers and baby gymnastics. Marketing to "tweens" (eight- to twelve-year-olds) has pushed Barbie and Bratz dolls and designer jeans down to even younger children, contributing to an ever younger entry into the teenage world of makeup, clothes, and dieting. It is also obvious that children are not the same as adults emotionally. A young child can smile through his tears when given the simplest distraction. The basically happy four-year-old stands in sharp contrast to the brooding adolescent. How does the one turn into the other? It is clear that the emotional inner life only gradually develops the complexity and texture with which we are familiar as adults. Yet many parents try to develop their children's emotions and their awareness of emotions by naming, expressing, and even practicing emotions with them. We also tend to expose young children to situations that are far too powerful for them emotionally; notice the unhappy children in the theater at the next movie you attend! It is obvious that children do not reason as adults do. They are able to come up with amazing statements, both about how the world works and about how something they shouldn't have done managed to happen. Logical thought and problem-solving ability are slow to develop. Very young toddlers lack "object permanence" and will look for an object where they have repeatedly found it hidden rather than in the place where they have seen you put it. Children younger than age six lack the ability for what Piaget calls "concrete operational thinking." Rational thinking does not develop until age ten or eleven, as observed in Piaget's studies. So it has long been documented that the ability to reason and to think logically is a gradually unfolding power that children grow into. As adults we have forgotten what it was like to live in a nonlinear, nonsequential world. We expect to be able to reason with our children as soon as they are verbal. We reason with them about everything from their behavior and its consequences to why the sea is salty—and, indeed, some five-year-olds show a great ability to conduct such conversations with their parents, but they have learned it through imitating that type of conversation. Young children do not yet think rationally, and reason has little impact on changing their behavior. Differences in physical, emotional, and mental capacities between children of various ages and adults are easy to recognize, though they are often ignored. Differences in consciousness are equally apparent when we observe children's growing awareness of themselves and their surroundings. An infant, for example, has what can be called "participatory consciousness," with no differentiated sense of self and other. Between the second and third years, however, a major change in consciousness occurs with the development of memory and the first saying of the word I. This change is the reason most people can't remember very much before the age of three. Most young children are fairly dreamy, living in a stream-of-consciousness state that follows whatever comes into awareness without adult concern about intentionality and task completion. If you send a four-year-old to get ready for bed by himself, you can expect to find him playing with the toothpaste or the water when you join him. Young children have a completely different orientation to time and space. They live in the present, without adult perceptions of the past and future. This is why they find waiting so hard and don't understand "ten minutes" or "three days" when told they must wait that long. The achieving of adult consciousness is a gradual process. It does not happen at birth or age eight or even age fifteen. The preschool child, elementary-aged child, adolescent, and adult are all very different; they perceive the world differently, and they think, learn, and feel differently. We can call the gradual process of achieving adult consciousness "Incarnating," which literally means "coming into the body" or into earthly life. This incarnating process is an important one, for if it does not occur the person remains childlike, not fully able to seize hold of life on this earth. This process unfolds according to its own natural order and time and should not be either rushed or hindered. If we recognize that the process of incarnation is a gradual one, we will interact with and teach children differently at different ages. For example, the preschool-aged child is centered in the will and in the limbs, in movement. The tremendous growth of the first seven years is accompanied by nearly constant movement as muscles and bones grow and coordination is gradually achieved. During these years the child learns primarily through repetition and movement and by imitating everything around her. Sitting still for long periods is unhealthy if not impossible for the young child, who desires to experience everything through her body. The elementary-school-aged child is still growing physically, but his "center of gravity" is shifting to the feeling sphere. As the emotions mature between the ages of seven and fourteen, the child learns with the greatest enthusiasm when a picture is given of what life was like in ancient Greece or on the American frontier. Artistic or imaginative presentations have the greatest appeal and make school topics easy to learn and remember. Instead of being centered in the movement of the limbs, as was the young child, the child between seven and fourteen is centered in the "rhythmic system" of breathing and the heartbeat. This means that music, which always involves rhythm and often involves the breath (as in singing or playing a wooden recorder), is especially important for the child in the middle years. The breath and heart are also associated with emotions, which we can see in the way our breathing and heartbeat change when we are excited or afraid. Not until puberty is the child really centered in the head, as he exercises his newfound capacities to analyze and criticize the world. Certainly major changes are still going on in the body with the maturing of the sexual organs, and the adolescent's emotions can also seem overwhelming at times. But the exciting new elements are now rational and abstract thinking, which now need to be engaged by subjects such as the proofs of analytical geometry or the laws of physics. Similarly, an ability to see causes and patterns emerges for the first time, so that courses such as "Trends in Western Civilization" are also vital to the high-school student. It is during these years that independent judgment begins to be born. With the gradual maturing of the body, emotions, and thinking, the vehicle is ready for the person to assume the responsibilities of adult life. The traditional age of twenty-one as the age of majority coincides with Rudolf Steiner's perception that the will (movement, imitation) dominates development between birth and the age of seven, the feelings between ages seven and fourteen, and the thinking from ages fourteen to twenty-one. At age twenty-one the body, emotions, and thinking are ready for further stages of adult development. Steiner was one of the first to share this understanding of the separate development of the threefold human being, consisting of thinking, feeling, and willing. If we are truly to understand the growing child, we must understand how these three aspects shift in dominance and how they influence the child's consciousness during different stages of development. Steiner also discussed the incarnating process in terms of who or what is ready to be responsible at age twenty-one (not that twenty-one-year-olds always behave responsibly!). Once the body, emotions, and thinking have reached a certain level of maturity, what Steiner calls the "ego" can live out its own biography without guidance from the parents. Steiner does not use the term "ego" as Freud did but instead uses it to mean our unique individuality, or what he also calls the "I." He perceived the human being as having an individuality that is capable of breaking the bounds of stimulus-response mechanisms and manifesting the unpredictable: free behavior and the possibility of fulfilling a particular destiny on earth. (11) This individuality has been variously described and named by the great religions and by psychology as the self, I, ego, spirit, observer, or consciousness. By whatever name, it is this presence that is felt so strongly in the newborn child, evoking feelings of awe and wonder in all but the most jaded adults. Steiner believes that the child is a knowing, spiritual being. Whether or not you have ever thought of children (or yourself) in this way, you have no doubt had the feeling that your children are their own people, not copies of their siblings or extensions of you. Often it is not until parents have more than one child that they experience how different children can be. They seem to bring their uniqueness with them when they arrive, and we have to adjust our parenting accordingly. Perhaps you have had a sense of your own individuality at important moments of decision when you needed to be "true to yourself." Even if the language of this discussion doesn't match your vocabulary, the phenomena of the incarnating process are still observable: the progressive mastery of physical processes as they come under the young child's control and the simultaneous narrowing and focusing of the child's initially diffuse consciousness. These phenomena will be explored further in chapter 3. The child between birth and age seven experiences the world primarily through her body. The senses are completely open, without filters or buffers, beginning at the moment of birth. The newborn continues to experience each sensation with her entire body and being. This is easy to see in the infant, who is all hunger or the pain in her stomach, or all the blissful sensations of nursing that cause her eyes to roll back and her toes to curl. The three-year-old, as well, is much more open to impressions of the world coming through the senses than is an adult. We can even observe that children's eyes stay open longer between blinking than do an adult's. Two things are happening through sense impressions from birth through age seven. The child is both learning about the world and being shaped by the impressions she takes in, just as a sculptor might work with clay. This phenomenon does not occur very often with adults, who are less open and responsive to the environment than young children, but we can see a similar phenomenon in the molding of the features that the elements of light and weather etch into the face of a seaman or farmer. The second thing the child is doing through sense impressions is learning about the world. Through the body the baby learns about near and far, attainable and unobtainable, as when she learns that a spoon can be grasped but the flowers on the table remain out of reach. As she begins to learn the names of things, memory, language, and thinking develop so she can give expression to her own and the world's emerging complexity. When the child reaches age three and beyond, what is taken in with the senses is also transformed and comes out again in the creative play and imagination of the young child. The child's major task in the first year of life is taking control of the body. Sitting, crawling, and walking are quickly followed by running, jumping, climbing, and other feats of dexterity as fine and gross motor coordination increase. Everything is done for the first time—using a shovel, sitting on a seesaw, cutting with a scissors—and then it is done over and over again. The child loves to move and to imitate, learning through doing something with someone else or after seeing it done. And the young child loves repetition, hearing the same story over and over or playing the same circle game, no matter how simple or boring it may seem to an adult. The young child is also learning about the world emotionally, learning the fundamental lessons about trust and attachment, and later lessons about sharing and consequences. It has long been known that babies and young children in institutions where they are denied the love of a primary caregiver suffer "failure to thrive syndrome" and can die, even though their physical needs are being met. Now PET scans of the brains of orphans who have been institutionalized since shortly after birth show that the temporal lobes, which regulate emotions and receive input from the senses, are nearly quiescent. (14) Such children suffer emotional and cognitive problems resulting not only from a lack of stimulation but also from a lack of love and bonding. The baby is love. Bonding is less a process of babies learning to love their parents—because children will love even parents who abuse them— than of parents establishing the connection that will enable them to make room in their busy lives for another being who needs attention twenty-four hours a day! Children enter the world with a great deal of love and trust. They are not yet able to perceive good and bad, but they take everything as good and appropriate to absorb and unconsciously imitate. One of our primary tasks as our children's first teachers is to provide them with impressions of the world that are appropriate for them to take in and copy. This means guarding and protecting them from sensory overload in a world of urban frenzy, and surrounding them with experiences that teach them about the world in a gentle way by letting them do things directly themselves and later act them out in their play. We also need to strive to model appropriate behavior—that our emotions are under control with our children, that we don't spank them while admonishing, "Don't hit!" and so forth. Our actions speak louder than our words with the young child, who cannot help but imitate. Through us, children learn whether or not their initial love and trust in the world were well founded. Another of our main tasks is to understand our children's physical, emotional, and mental development so we can guard it and let it unfold without hindrance. No one would want to stop a child from walking, but it is also something that we don't have to worry about teaching the child. The child will walk when she is ready, as a natural expression of the mastery of her own body—the development of balance and the achievement of verticality in the face of gravity that has kept her horizontal for so many months. There is a task for us—to guard, to protect, to understand, to share, and to enjoy with the child the unfolding of his or her abilities. We can do things to enhance abilities by providing an example and allowing the young child to express them freely from out of his own being. We can also note discrepancies in development and areas at risk and take gentle steps to help ensure balance. But with the young child much more is achieved indirectly through example and imitation than head-on through lessons. No matter what our family situation or lifestyle, we as parents are our children's first teachers. The importance of what they learn in the home and through their relationship with us cannot be underestimated. By understanding how children develop and some things we can do to help their balanced and healthy growth—physically, mentally, emotionally, and spiritually—we will not only help our children but also increase our own enjoyment and growth as parents. Sometimes we parents can become overwhelmed when we contemplate the momentous nature of the task before us. Contradictory advice from books and friends can leave us feeling frustrated or annoyed. Becoming painfully aware of the times we fall short of our own ideals can be downright discouraging! As a first-time mother, I fell into most of the pitfalls of mothering today. Although I had prepared myself for labor and delivery, and my first child's birth went smoothly enough, parenting (and boys) were a gigantic mystery to me. Fortunately, children are resilient, and my son developed into a fine man despite my confusion and shortcomings. But I've realized through the years that much frustration and grief can be avoided by keeping in mind a few basic principles. 1. We need to accept who we are and build up the support we need. Today there are many more possibilities for balancing home and work than in the past. Not working outside the home when your children are young, managing a home business, working flexible hours, having your mate be a stay-at-home parent, living communally, inviting grandma to live with you, going back to work when the baby is six weeks or six months old—all of these approaches have their difficulties and rewards. No matter what you do, you will find you need and deserve support. The real difficulty comes when we are doing something that we don't want to be doing. For example, if we must work when we want to be home, or if we are staying home when it is driving us crazy, then our parenting will tend to be influenced by guilt, resentment, and a whole range of other negative emotions. We need to make our best choices at each moment. We can't always have what we feel would be ideal, but we can actively do the best with the options as we see them. In my own life, I ran Informed Homebirth out of my home and my husband and I lived with other adults and children when our children were young, so I had the support to be a midwife and to write Special Delivery without excessively disturbing the children's lives. This situation brought other complications along with it, but I am grateful for the parenting support I received. In addition to developing their own nurturing aspect and becoming more active with the children, fathers need to support mothers in their mothering. This support is partly financial, but it is also emotional. Fathers and mothers need to discuss and be in harmony with one another concerning basic issues of discipline and parenting styles. This can include actively supporting the mother with trite but true statements such as, "You heard your mother," or "Don't talk back to your mother," when necessary. In single-parent families, support needs to come from a wider circle of friends and social agencies. The parent (most often the mother) not only needs other significant people in the child's life, but she also needs the perspective that another adult can provide on her parenting and her relationship with the child. Perhaps the most important thing a single parent can do is to find or create those connections with other adults that can keep her (or him) from being so single in her parenting. Single parenting is a momentous task and involves special stresses and needs. 3. We need a true understanding of children and their world. When we have an understanding of children's real developmental needs, we can respond to them in ways appropriate for their age that can lead to their balanced development. In my own floundering as a first-time mother, I turned to Effective Parenting courses, but I found they were really geared to the child who was six or older. The instructor said, "Well, try these things with the younger child as well to start building up good habits." But it was clear to me that parenting a two-year-old required something entirely different. When I began studying Rudolf Steiner's indications for Waldorf education and child development, lights began to go on. For example, I had three children but still hadn't realized that up to the age of six they learn primarily through imitation! It seemed so obvious once I had read it. Why hadn't I thought of that? I found in Steiner many insights of that nature—and many other things that made no sense whatsoever on first reading. But I approached the ideas with an open mind and in a pragmatic way. Could I observe the same things? Did this new approach improve the situation? I found that Steiner's understanding of the developing human being provided me with ways of seeing children that made a difference. When I saw children in those ways, suddenly everything worked: home life became more harmonious; I was able to enjoy young children and relate to them more confidently; I was even able to become an early childhood teacher, something that I never would have foreseen under other circumstances. 4. We need to trust the natural process of development and not interfere with it. By understanding a child's physical, mental, and emotional development, we will be able to avoid doing things that are appropriate for a child at one stage of development but can possibly be damaging for a younger child. Just as it is important for children to crawl before they walk (to establish the neurological patterns in the brain), so we need to let children be children and unfold according to their own inner timetable, which always demonstrates both pattern and individual differences. If we see each child as a unique individual, we will be able to do things to enhance their gifts and to work on their weaknesses with a view toward a balanced development of thinking, feeling, and physical abilities. 5. We need to trust ourselves and our children and to let go of guilt. Because we usually live isolated from young children and other families before starting our own, we don't have much knowledge about parenting. The discrepancies between expectations and reality are often shocking to new parents. I know that when I was pregnant for the first time I felt that I would never put my child in preschool because no one could possibly do as good a job as I would. As a result, I was discouraged when I found the two of us constantly at odds at home and so put him in preschool, where he was the model child. At that point it seemed that anyone could do a better job than I! As mothers we tend to feel that "it's all our fault." Naturally, I did things differently with my third child than with my first, based on my increased experience as a mother and my increased understanding of young children. If I hadn't done things differently, maybe I could be accused of not having grown. But it is fruitless to feel guilty for what I did earlier, because I was doing the best I could at the time. If we can see parenting as part of our own inner growth and development and see our children as unique individuals with their own personalities and lives to live, we will be less likely to fall into feelings of guilt. The problem with guilt, aside from being bad for your health, is that it takes you out of the present moment, which is where your child lives and where you need to see and act clearly right now. 6. We need to trust our children as individuals. We are not the only ones participating in our children's development. They also have something to say about it, albeit not consciously. If this were not so, how could children growing up in the same family be so radically different? Each child is unique, neither merely the sum of his or her experiences in the family nor the product of our skill as parents. Sometimes it is only when they have a second child that parents realize how different children can be and how they help create what happens to them. You can neither take all the credit nor all the blame for how your child turns out. We cannot consciously select the children who come to us, which is no doubt a blessing. Our task is to do our best, and to trust in the best. We need to trust our children to be resilient, to be able to heal, to be terrific people despite our flawed efforts and our most regretted actions. We can, however, strive to help each child's experience (and our own) be as positive and rewarding as it will be varied. This striving can be one of the most important things children learn from us. 7. We need to value our parenting. There is a way in which no one can do a better job than you of raising your child. No paid caregivers, however skillful and loving, can feel as much excitement as you do over your baby's every accomplishment. Parents have a unique involvement with their offspring that is nourishing to the child. Taking a child under the age of three out of the home and putting her in an institutional setting is stressful for the child— and many children will have been in several such situations by the time they are three. However, not everyone can stay home with their children in the first three years, and various child care options are discussed in later chapters, including LifeWays, which takes family life as the model by providing relationship-based, mixed-age care in homes or homelike settings. 8. We need to value our homemaking. We are our children's first home, which then expands to include life as it unfolds in our physical house or apartment. When we have children, we are creating a home willy-nilly. The more attention, awareness, and creativity we can put into the process, the more home life can become a platform that effectively supports every member of the family, including ourselves. This is the topic we will explore in greater detail in the next chapter. Beyond the Rainbow Bridge, by Barbara J. Patterson and Pamela Bradley (Michaelmas Press). A Steiner-oriented guide to nurturing our children from birth to age seven, with an excellent section on creating balance. Heaven on Earth: A Handbook for Parents of Young Children, by Sharifa Oppenheimer (SteinerBooks). A Steiner-oriented discussion of how children learn and ways to create a nurturing environment for them. The Incarnating Child, by Joan Salter (Hawthorn Press). An excellent Steiner-oriented book covering conception through the age of two by the founder of the Gabriel Baby Centre in Australia. Highly recommended. LifeWays North America. Nurtures family life and offers an innovative vision of child care that takes the home as the model. Learn about their training programs, workshops, membership, and newsletters at www.lifewaysnorthamerica.org. Navigating the Terrain of Childhood, by Jack Petrash (Nova Institute Press). Considers the entire scope of childhood to develop "meaningful parenting and heartfelt discipline." One of my favorites. Simplicity Parenting: Using the Extraordinary Power of Less to Raise Calmer, Happier, and More Secure Kids, by Kirn John Payne (Ballantine Books). Drawing from his experience as a psychologist, counselor, and Waldorf teacher, Payne has written one of the best books today for parents. At the Root of This Longing: Reconciling a Spiritual Hunger and a Feminist Thirst, by Carol Lee Flinders (HarperCollins). Powerfully brings together the strands of feminism and spirituality. Excellent, although I wish her son received more than just a footnote! Mothering without a Map, by Kathryn Black (Penguin). A powerful book on becoming the mother you long to be. Insightful, emotionally powerful, and practical. Motherself: A Mythic Analysis of Motherhood, by Kathryn Allen Rabuzzi (Indiana University Press). Considers the monumental transition to being a mother (attaining mother-selfhood) as a heroine's journey in feminine form—very different from the mythic hero's journey. The Woman Awake: Feminine Wisdom for Spiritual Life, by Regina Sara Ryan (Hohm Press). Explores twelve aspects of the feminine, all of which can support us in our mothering. Treat yourself by drinking deeply at this well. Barbara Kantrowitz, "Off to a Good Start," in "Your Child from Birth to Three," Newsweek Special Edition, Spring/Summer 1997, p. 8. Burton L. White, The First Three Years of Life (New York: Prentice-Hall, 1985), p. 4. Rudolf Steiner, "The Child Before the Seventh Year," lecture delivered in Dornach, Switzerland, December 23, 1921, reported by Albert Steffen in Lectures to Teachers (London: The Library of the Anthroposophical Society in Great Britain, 1948), p. 39. Kantrowitz, "Off to a Good Start." Rudolf Steiner, quoted by Werner Glas in lectures at the Waldorf Institute, October 1980. Betty Friedan, The Second Stage (Cambridge, MA: Harvard University Press, 1998 ). Fern Schumer Chapman, "Executive Guilt: Who's Taking Care of the Children?" Fortune, February 16, 1987. David Elkind, Miseducation: Preschoolers at Risk (New York: Alfred A. Kopf, 1987), p. 120. Rudolf Steiner, Philosophy of Freedom (Spring Valley, NY: Anthroposophic Press, 1964). For accounts of the spiritual aspects of conception and pregnancy, see Jeannine Parvati Baker et al., Conscious Conception (Monroe, UT: Freestone,1986), and Murshida Vera Justin Corda, Cradle of Heaven (Lebanon Springs, NY: Omega Press, 1987). Quoted in Sharon Begley, "How to Build a Baby/s Brain," in Newsweek Special Edition, Spring/Summer 1997, p. 30. Quoted in Jerry Adler, "It's a Wise Father Who Knows Newsweek Special Edition, Spring/Summer 1997, p. 73.